This is the pudding before it has all warmed through and thickened up. 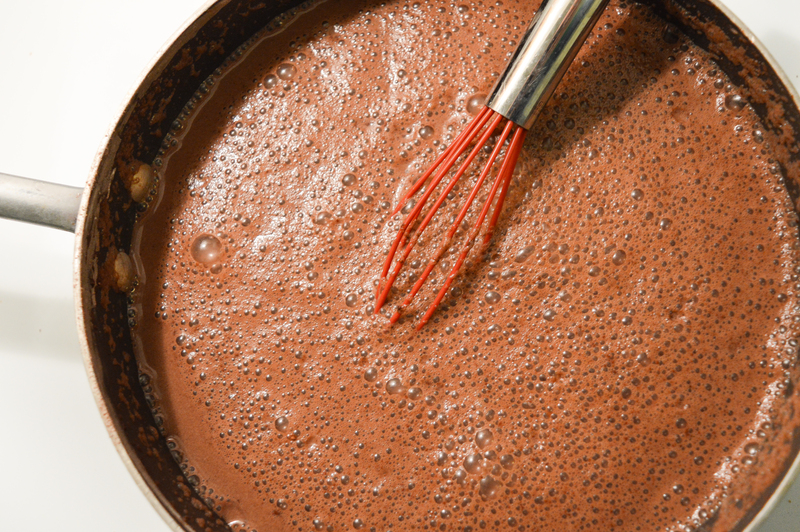 In a sauce pan stir together sugar, cornstarch, cocoa, and salt. Place over medium heat and stir in milk. 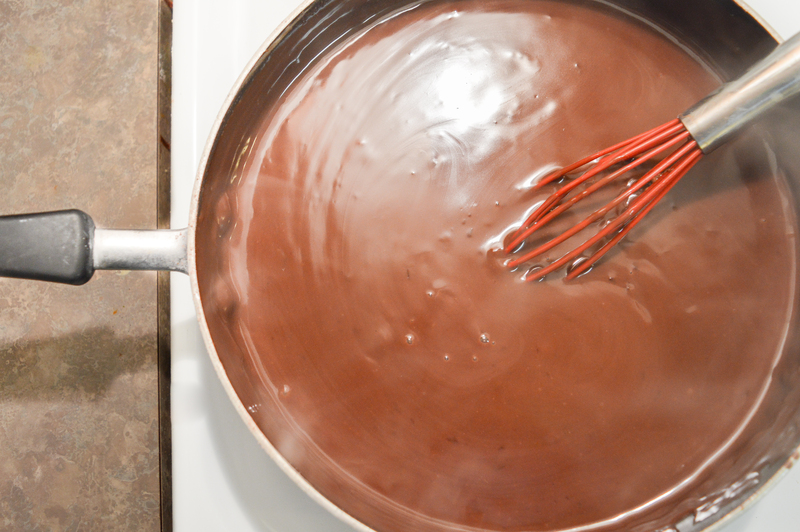 Bring to a boil and cook stirring constantly until mixture thickens enough to coat the back of a metal spoon. Remove from heat and stir in butter and vanilla. 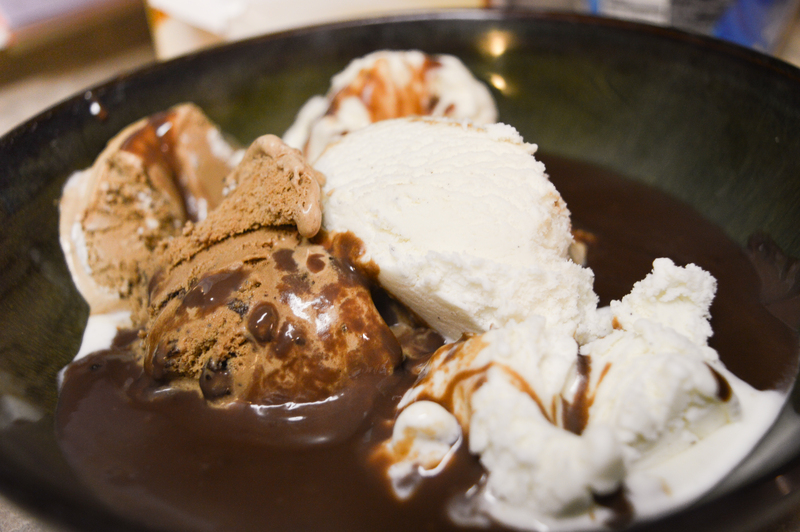 We decided to put some chocolate ice cream in there as well because, why not?